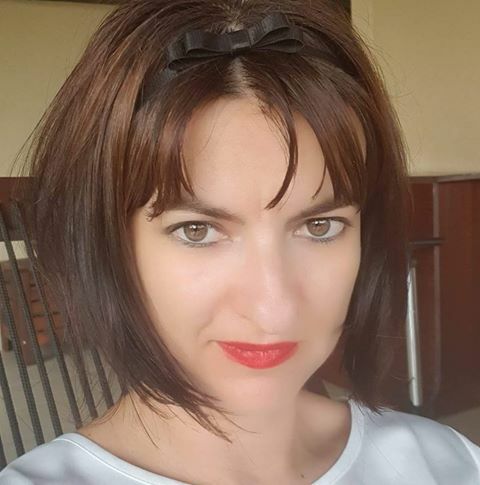 Professor Alina Bârgăoanu is Dean of the College of Communication and Public Relations at the National University of Political Science and Public Administration in Romania. 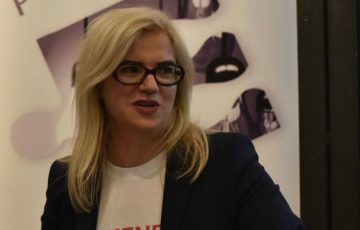 She was appointed in the spring of 2018 to be one of 39 experts in a High Level Group on fake news and online disinformation for the European Commission. Her task was to provide the Commission with substantial insights on how to tackle the phenomenon of fake news. The High Level Group issued a report on these problems that could be the basis for future regulation. As dean of the communication faculty, Professor Bârgăoanu organises many conferences and debates on disinformation, propaganda and fake news. She recently published a book on these topics. I interviewed Alina Bârgăoanu this month while participating in the workshop on fake news that she and her colleagues organised in the College of Communication and Public Relations. Alina Bârgăoanu: Whether we like it or not, the West (or trans-Atlantic world) is home to phenomena which are highly conducive to extreme moods and emotions, to an “us vs. them” mentality and rhetoric: ramping up inequality, polarisation, the feeling of cultural and social uprooting – the feeling that we are no longer in control of our own lives. A very productive workshop on fake news was recently organised by the College of Communication and Public Relations. Tell us more about this initiative. Every year, the College of Communication and Public Relations organises the American-Romanian Workshop. It is an initiative that we have managed to keep alive for more than 10 years together with our colleagues from the James M. Cox Jr. Center for International Mass Communication Training and Research, University of Georgia. The driver of this initiative since its very beginning has been Tudor Vlad, who is now the director of the Cox Center. We try to pick topics that are relevant and timely for the communication field. Last year, the topic was health communication, which is of utmost interest in the US, and increasingly of interest in Romania too. Two years ago, the topic was the trans-Atlantic relationship, public opinion about the EU, the dynamic between pro-European and pro-American public opinion. I remember that Brexit happened during the first day of the workshop right in the middle of some very heated discussions. I also remember how alarmed Professor Lee Becker (then the director of the Cox Center) suddenly grew on hearing the news about Brexit and he stated almost prophetically: “The US must get ready for the election of Donald Trump as President.” Remember, this was June 2016, when Donald Trump becoming the US President was still a very remote possibility, discounted pretty much by everybody. Now more to the present day, the topic of this year is one that lies at the heart of my professional interests and those of my colleagues at the College of Communication: fake news and information disorders in the digital age; taking a broader perspective, the changes brought about by technology and the digital revolution to the information ecosystem and to all sectors: economy, finance, politics, health, entertainment, whatnot. We have had high-profile speakers from the US: David Hazinski, an insider of the American media landscape; Daniel Funke from the Poynter Institute, an international alliance of fact-checkers (by the way, the Poynter Institute was mentioned by Mark Zuckerberg during his Congressional hearings) and Charles Davis, dean of the College of Journalism and Mass Communication, University of Georgia. I am very proud that we have managed to have on board equally high-profile speakers from Romania, too: let me mention Dragoș Stanca, a passionate specialist in digital communication, or Dan Sultănescu, who is active in carrying out research on anti-Western propaganda in Romania. In your presentation you talked about how dangerous fake news can prove to be, not as a phenomenon in itself, but as a label to be used in smearing those who do not agree with you. Tell us more about this idea. In the talk I gave during the workshop I underlined the fact that the term “fake news” has been turned into a formidable political weapon (so has fact-checking, for that matter). It has become a facile yet efficient way to label your political opponents, even to demonise them – a means to suppress public debate on serious issues. So, one does not agree with a certain opinion, so ridicule and humour come in very handy (in Romania they always do). “You are fake news, you spread fake news, leave me alone with your fake news” and everything. This is the kind of “political dialogue” taking place within the frame of the “us. vs. them” mentality: “them” is the opposite digital tribe – “they are always wrong”, and “we are always right”. “Us vs. them” is a reality in Romania too, even if we do not reflect much upon it: entrepreneurs vs. public servants, corporate employees vs. the socially assisted, the young vs. the old, the diaspora vs. people living in their own country, refined intellectuals vs. “the ones without teeth”. This is a fertile background, a paradise, for disinformation, for information chaos. The world has facts for pretty much everyone; Romania has fake news for pretty much everyone, depending on the “tribe” you belong to. Affiliation to one political camp or another is a powerful filter for facts and information: only those facts that reinforce this identity and affiliation are selected out of the sea of facts out there. There are a lot of debates regarding Russian propaganda. Do you think it would be a good idea to also have Russian specialists discussing propaganda? This would show that the war is not between Russians and Americans but between the people on both sides that want progress and democracy and those who want authoritarianism and tradition. During the workshop, as well as during all my public speeches on fake news and digital disinformation, I have repeatedly underlined that, in Romania as well as in other countries, the US included, we jump directly, and I would say rather conveniently, to “Russian propaganda”. It is my understanding that, before going into the intricacies of “Russian interference/influence/propaganda” – you choose the term – we must understand the intricacies of computational persuasion, computational communication – that communication taking place in the new technology-driven information ecosystem. Recently, I have started to use the term “disinformation” with great caution, because it assumes the existence of “information”, in a hard binary classification. But this hard, substantive binary opposition is very close to wishful thinking, a sort of nostalgia for a period when information was presumably the opposite of disinformation. In the current information system which is dominated by technology – digital platforms, algorithms, Artificial Intelligence, big data, and search engines – discussion about what is information and what is disinformation is very loose; both are driven by a content that is digital, algorithmic and data-driven. Secondly, before we jump to hostile propaganda from state or non-state actors, we should reflect upon the opinion climate, the polarising topics, those with the greatest potential to unleash big emotions and divide us into opposite camps, even when we are close friends or members of the same family. Finally, just like with fake news, we tend to put under the umbrella term of “Russian propaganda” things we do not agree with or that we do not want discussed in the public sphere. For example, if somebody draws attention to the fact that, notwithstanding the huge opportunities brought about by European integration, 10 years of EU membership has not contributed to closing the development gaps between the Romanian regions, but it has further enlarged them, such a perspective and the ensuing alarm are likely to be dismissed as “Russian propaganda”, “endorsement of Russian narratives” etc., which is not healthy for the public debate on serious, even dramatic issues. Answering your question in a more straightforward manner, I consider that the defining conflict of the beginning of the 21st century is that between endorsing the status quo (at a global, European, or national/local level) and those contesting it. Dissatisfaction and discontent with the status quo are what brought President Trump to power, with Russian influence operations and the technology-driven information ecosystem playing a role, too, of course. There are a lot of debates on the fake news phenomenon as an effect of the failing capitalist system. Do you think we can solve the problem of fake news in the same economic paradigm? Can we make honesty more profitable than lies? Geopolitical conditions; again, whether we like it or not, the West (or trans-Atlantic world) has been under siege for quite some time, from the newcomers, from the emergent countries; the global order is in flux, and interests are diverging between the West and these newcomers, and recently, even within the West itself. About capitalism. One can reflect upon the viability and timeliness of this type of organisation under new circumstances when our personal and professional lives are digitised, platform- and algorithm-driven. A free arbiter appears to be a thing of the past, and our preferences – be they personal, professional, political, or commercial – are controlled, or driven by algorithms, search engines and big data. What are your plans for next year’s workshop? We haven’t decided on the specific topic yet, but most likely it will be connected to the broader issue of the digital revolution and its impact on the information ecosystem: the network sphere, emerging media, computational persuasion.